Boeing says it's beginning an ab initio flight training program called the Boeing Pilot Development Program that will take pilots from zero pilot hours to being type-rated in a Boeing jet, and presumably ready for an airline career. The company announced the new program at a 2014 EAA AirVenture Oshkosh event, just after the release of the Boeing 2014 Pilot and Technician Outlook. The Pilot and Technician Outlook predicts a demand for 533,000 new pilots throughout the world over the next 20 years. That's an estimated 27,000 new pilots needed per year. Most of this demand—216,000 pilots—will be in Asia, with Europe and North America following behind. With the high number of new jet deliveries coupled with pilot attrition and the FAA's increase in the number of hours required for an airline transport pilot certificate, Boeing thinks we'll need a new way to train pilots. "We're forecasting nearly 36,800 new airplanes worth $5.2 trillion—a pretty amazing market," said Shary Carbary, Boeing's Vice President of Flight Services, at EAA AirVenture in Oshkosh, Wisconsin. "There's a lot of debate on if there's a pilot shortage. Boeing is forecasting the demand, and what we're suggesting is that in order to ensure this is not an issue going forward, we need to come together as an industry, as governments and regulators around the world, and as academia, to help ensure that this does not become a critical issue and that we can address this problem." The ab initio flight program will help soften the blow of any looming pilot shortage, according to Boeing, with the help of airline partnerships. In a typical ab initio program, the airline sponsors a student pilot from the beginning of training, mentors them throughout their pilot training, and hires the pilot once he or she is type-rated and certified. The program has worked well in other countries, but with the FAA's regulations, people are skeptical that it will work the same in the U.S. 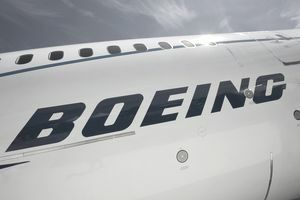 The Boeing Pilot Development Program will be implemented by Jeppesen, a subsidiary of Boeing, and will be customized to fit an airline's needs and its countries regulations. The program will ensure students get basic courses like math and physics, along with piloting skills specific to the commercial airline that might sponsor them, as well as classes on crew resource management and airline operating procedures. The student will be trained at Boeing training centers in one of the numerous locations throughout the world. The prerequisites for student pilots entering the ab initio program include a screening process; reading, writing, and speaking English; a first class medical; and a visa. Students will be carefully selected to prevent high wash-out rates. David Wright, Director of Boeing Pilot Development Program, also spoke, saying, “To meet this staggering demand for tens of thousands of airframes on the market over the next twenty years, we're excited to announce today the development of the Pilot Development Program." The program will train students "from street to left seat" by taking a student with zero flight hours and putting them through classroom learning, flight instruction, a jet bridge program, and a type rating training program, to end with potential employment at an airline. Wright said the program could cost between $100,000 to $150,000, and would take about 12 months to complete. "The average student would come out of the program with between 200 and 250 hours," according to Wright, still not enough to become employable as an airline pilot in the United States. Wright and Carbary fielded questions from the crowd during the media briefing, including how students would get from 250 hours to the magic 1500 hours that the FAA requires for an ATP certificate. Carbary said they expected that students in the U.S. would need to follow a similar career path as they do now, most likely working as a flight instructor. In Europe and Asia, a similar ab initio program often leads directly into the flight deck. America is slightly behind in this regard and will face challenges due to the FAA's 1500-hour ATP rule. But, according to Wright, the pilot outlook is good, even for the U.S. market, and it's expected that airlines will come on board with the program, potentially encouraging the FAA to reevaluate the rules once more. The other challenge is a financial one. The current problem with flight education is that at the cost of $100,000 or more, a school like this will leave a graduate with large loan payments and very low income. At little more than $20,000 in income for an entry-level regional airline pilot job, it's difficult to encourage anyone to take the leap toward becoming an airline pilot, let alone encourage them to spend upward of $100,000. If the program could be airline funded, or perhaps offer financial aid of some sort, then it could be valuable, said one attendee. According to Wright, the airlines are not opposed to such a program. Carbary said the while the industry isn't in a great spot right now for regional pilot pay. Eventually, supply and demand will normalize, and that will mean a pay increase across the board, though the U.S. is lagging behind. "The reality is that it's supply and demand, and in the United States, we had a lot of furloughed pilots for a long time," Carbary said. They have now been pulled into the Middle East and Asian customers, so we don't have that to drill on anymore. We're already starting to see the pay increase." For now, Boeing says that the Pilot Development Program is a self-funded one, at least in the United States. In the meantime, Boeing continues to grow its training program, opening multiple training centers, adding simulators and hiring instructors to its 19 training centers all over the world. The company is in the process of opening a new training center in Russia, has added simulators in at London Gatwick and in Singapore to meet training demands.